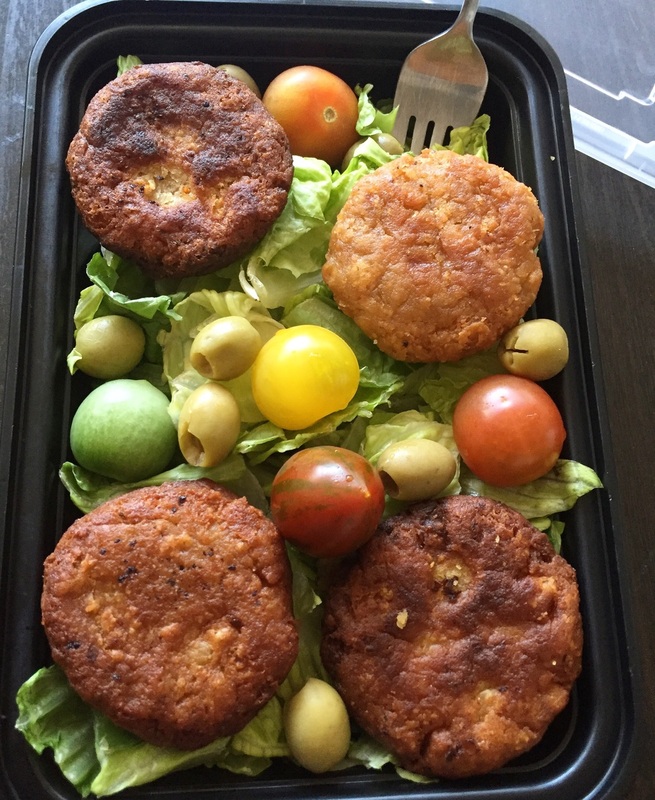 Another perfect meal for Meatless Monday's! 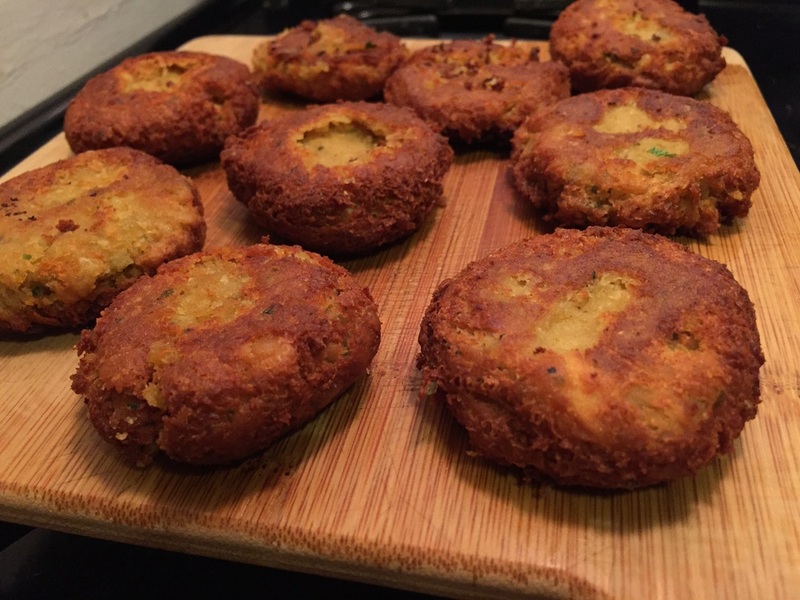 Falafels remind me of street food in NYC, on a cold night like tonight! They're very easy to make - and they're ready in just 20 mins - so I no longer have to stand in a cold line to have some! Strain & wash the garbanzo beans. Add all ingredients in a food processor & pulse for 2-3 mins until the mixture is fine & grainy. In a large skillet, heat vegetable oil (make sure the oil height is about 1 inch thick) to medium heat. 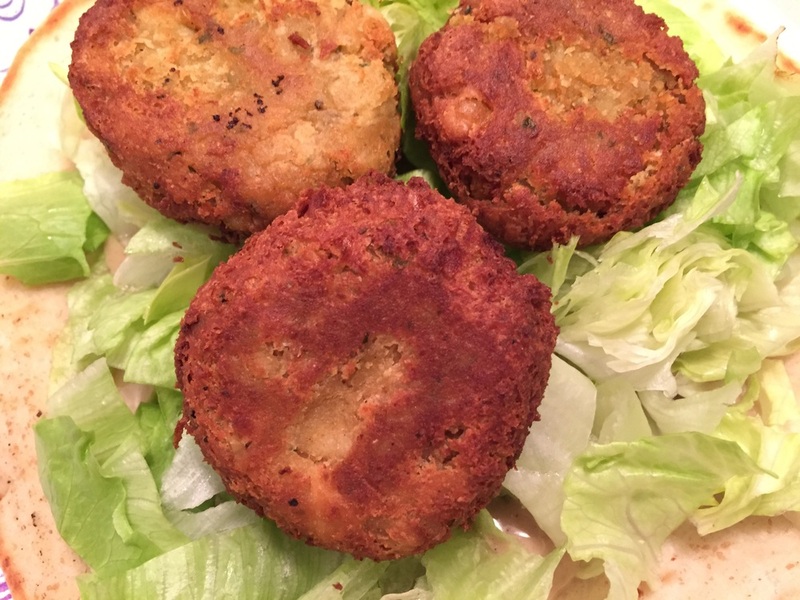 Break off golf ball sized pieces of the mixture & form into falafel patties with your fingers. 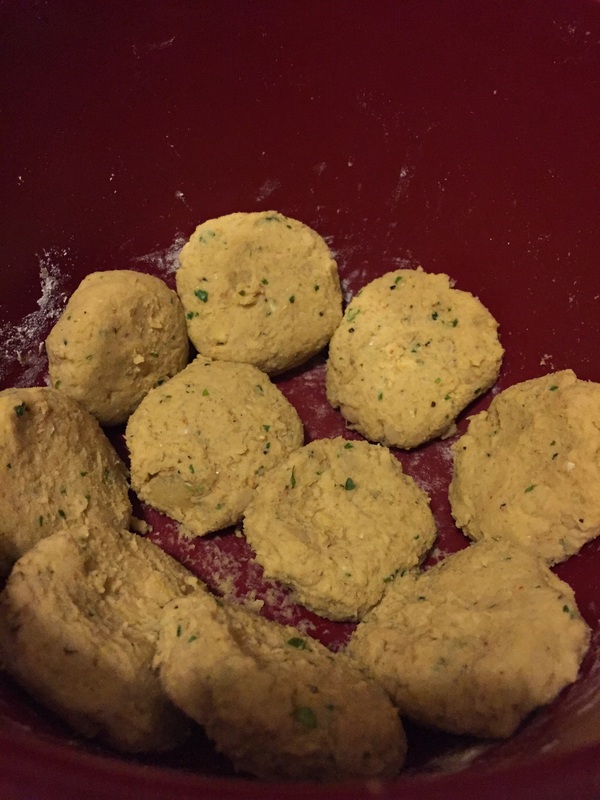 Add the falafels one by one to the pan & fry for 2 mins on each side (or until golden brown). Lay on paper towels to get any excess oil off, and serve. These go great in a salad or in pita bread! Pour the yeast packet in a measuring cup. Add the sugar & warm water, stir. Place it aside in a room temperature, dark space (I put it in the microwave without turning it on). Leave it for 15 mins so the yeast bubbles up. Put the flour & salt in a basin. Add the yeast water, knead into a dough. Break 2" balls of dough & roll them each out with a rolling pin. You may need to add a little dry flour so it doesn't stick to the surface you're rolling it on. Don't roll them out too thin, let them be about 1/2 inch thick. Use PAM spray on a flat griddle or frying pan to cook the pita bread for about 5 minutes on each side, or until they are golden brown.